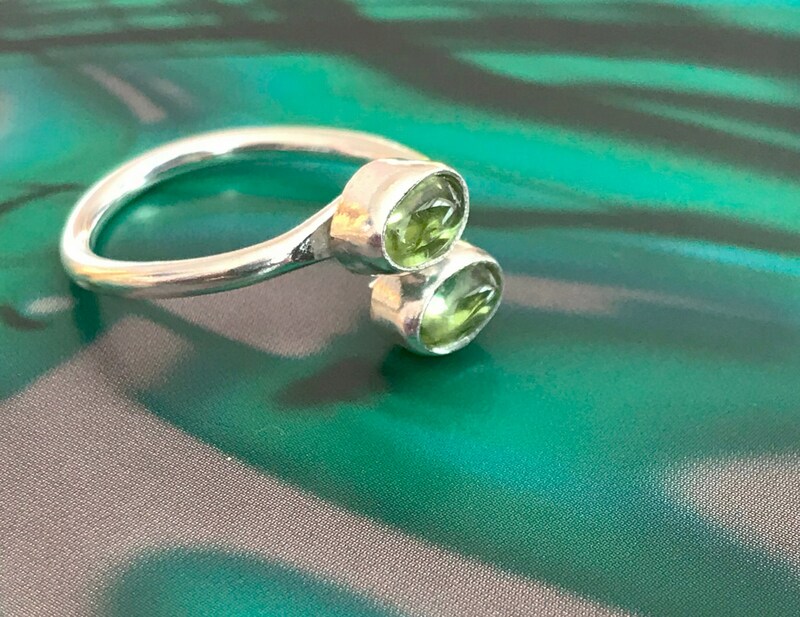 Fully adjustable Sterling Silver ring set with two stunning Peridot Oval stones (6 x4mm). 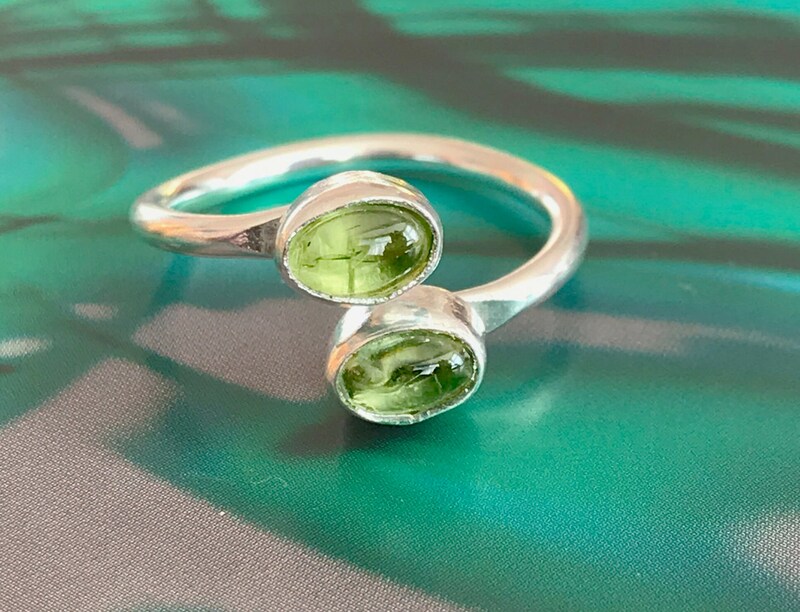 The vibrancy, clarity and colour of these stones is simply beautiful! 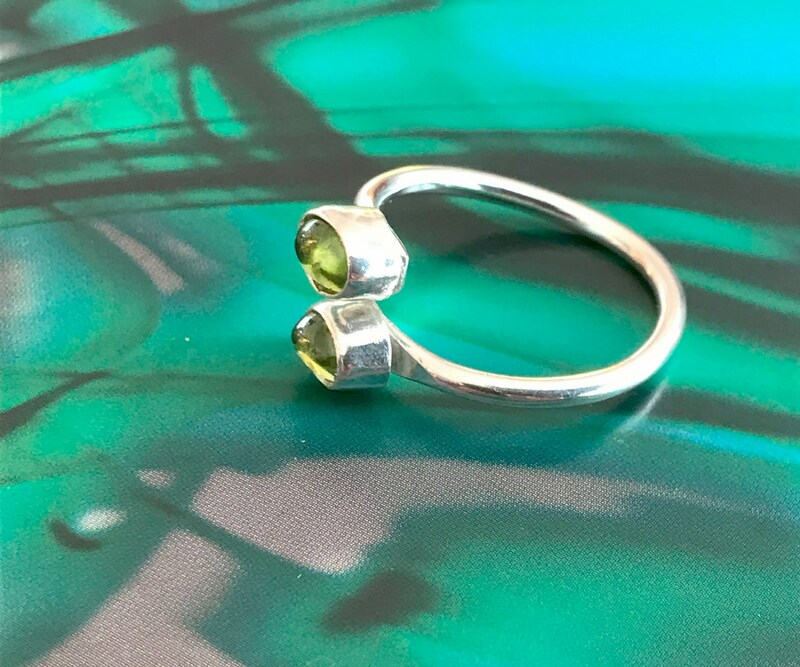 The price of this ring is a reflection of the quality of the peridot. To adjust size simply pull or squeeze to fit.